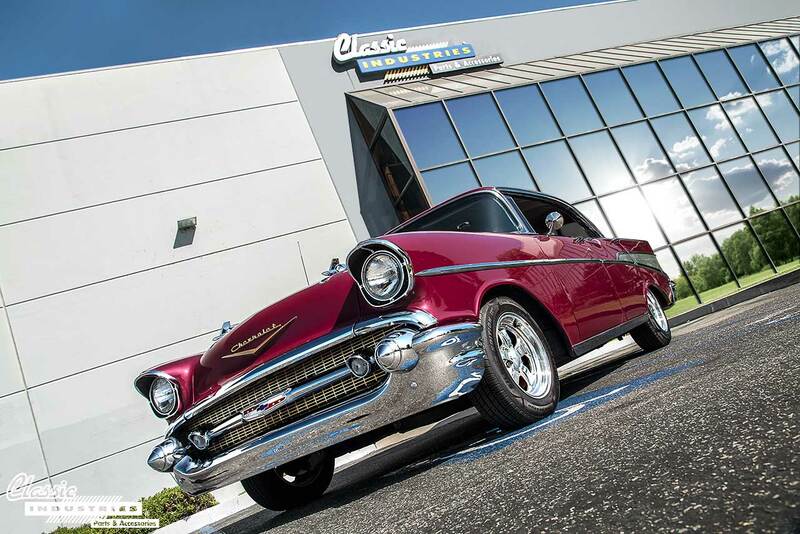 Ron's '57 Chevy four-door was originally purchased in 2003 to commemorate his retirement that same year. Since then, he has been restoring it gradually using many parts from the Classic Industries Tri-Five catalog. 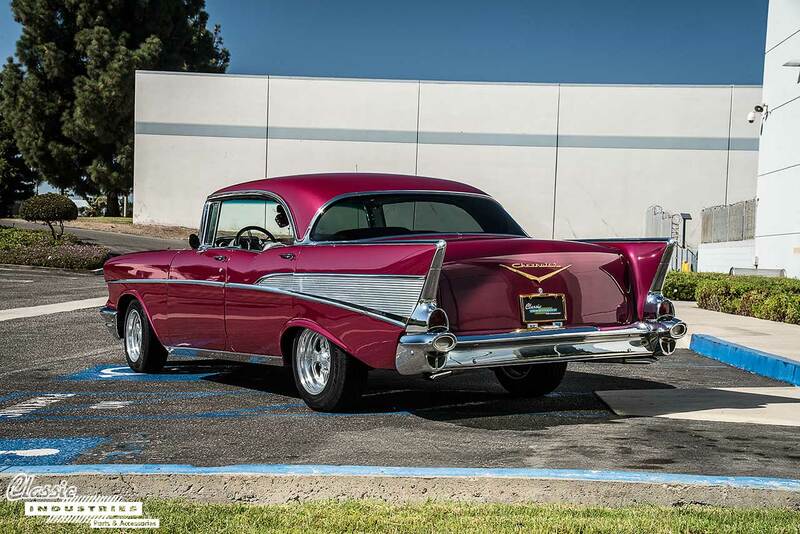 At the heart of this 1957 Bel Air is a 350ci small block V8, which Ron upgraded to add more horsepower and torque. 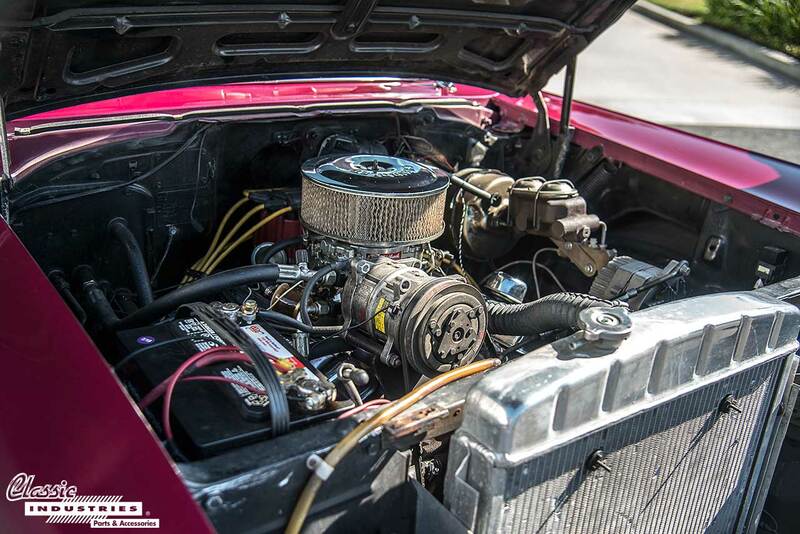 It features an Edelbrock carburetor, upgraded ignition system, and high-flow dual exhaust, among other parts. 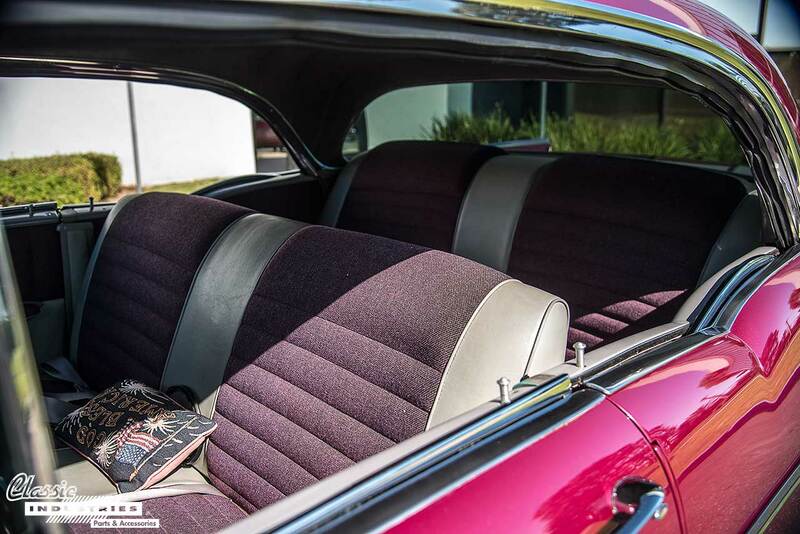 The interior of Ron's Bel Air has been restored with two-tone cloth and vinyl bench seat upholstery, door panels, carpet, and headliner. 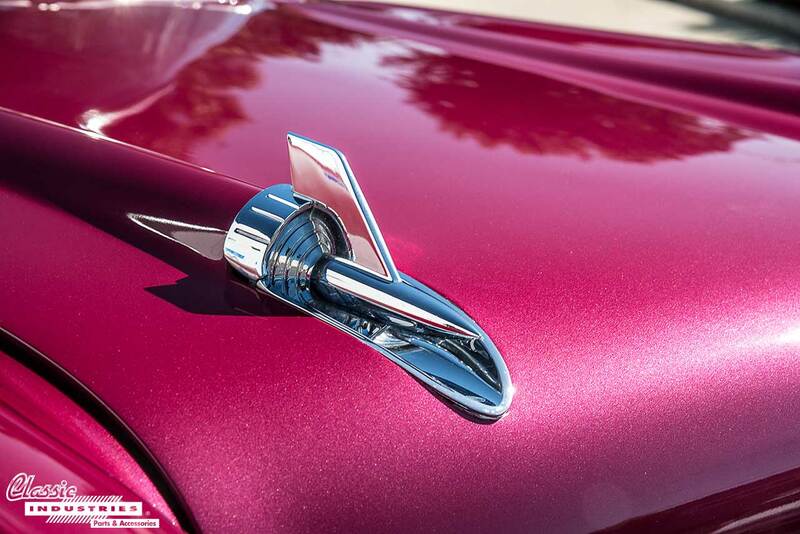 For the exterior of the Bel Air, Ron wanted a distinctive look, so he had the body painted in a reddish-purple metallic color. From some angles, it appears like a vibrant pink, while at others it looks deep burgundy. New reproduction chrome bumpers, grille, and trim accent the color with a sparkling shine. 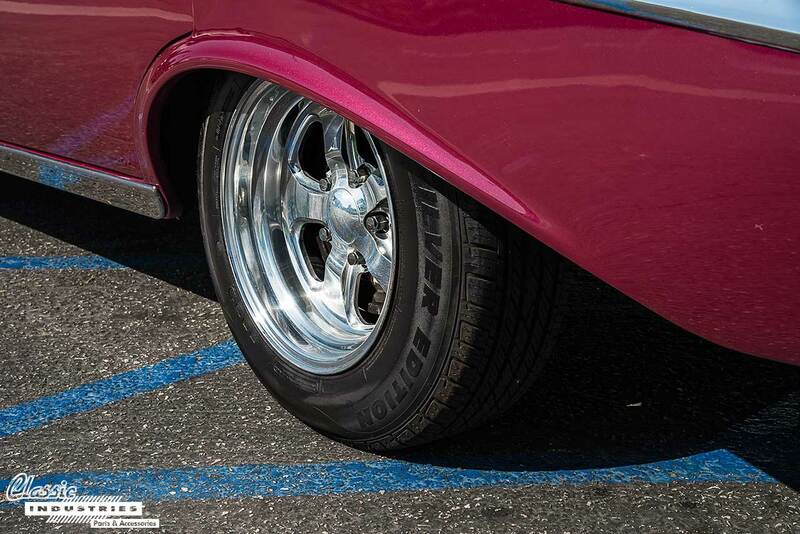 The 1957 Bel Air has also been lowered on a set of polished billet aluminum wheels, providing another piece of visual flair. This car is definitely hard to overlook as it cruises down the highway. Ron enjoys working on his Bel Air and taking it to local car shows. When he needs spare parts, he stops by the Classic Industries Retail Showroom to pick them up. 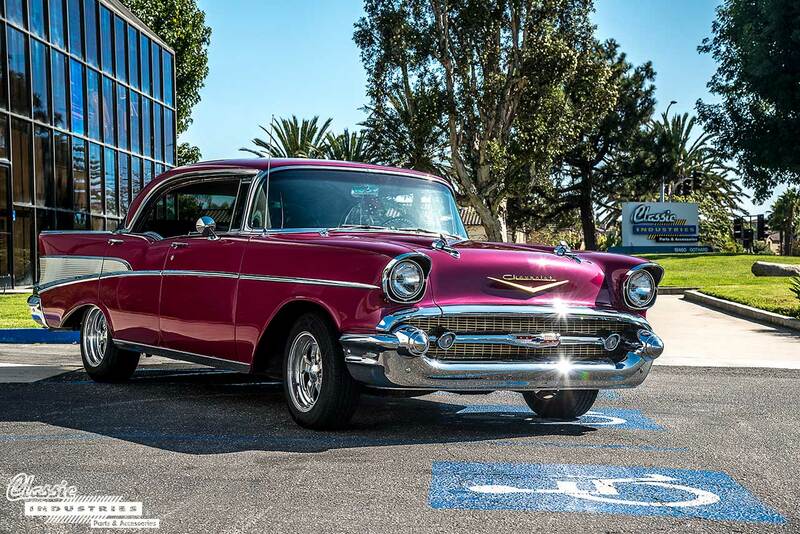 If you own a '55-'57 Chevy that's in need of a complete restoration or simply a few small items, Classic Industries can help you find what you need. Click the button below for a free full-color Tri-Five Chevy restoration parts catalog.